Many legends involve both names of this deity. In some regions he is coming down to the fields three times a year to watch over the harvest. 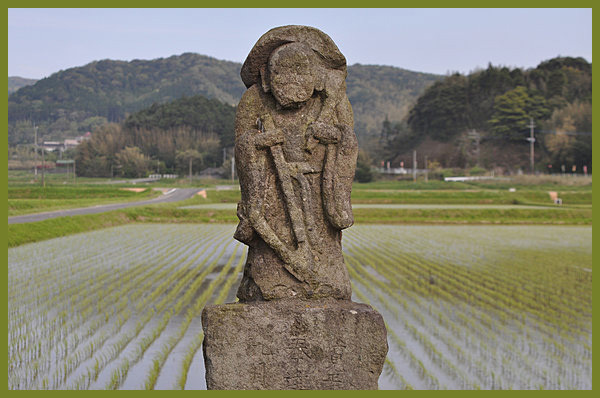 Most rice farming communities celebrate the departure of Tanokami after the harvest. Some have a special matsuri　祭り Tanokami festival, where children participate in a parade. Children carry a kodomo mikoshi 子供神輿 protable shrine along the paths of the harvested fields, to express gratitude. Then they walk past each farming house and finally the Mikoshi is placed back in the shrine of the 氏神 Ujigami.
. ujigami 氏神 and ujiko 氏子 local worshiper, parishioner of a Shinto shrine .
. 社日様 Shajitsu Sama，田の神様 Tanokami Sama，作神様 Sakugami Sama . Tanokami comes down to the fields on the 16th of the third month and goes back to the mountain on the 16th of the 11th month. On both days farmers are not allowed to go either to the mountain or to the fields. They prepare 16 botamochi - ohagi ボタモチおはぎ sweet rice balls as offerings on the kamidana 神棚 family shelf of the Gods. They also prepare sekihan 赤飯 auspicious red rice as an offering, finally eaten by the family. Tanokami is seen as a Deity of Cultivation who resides in the mountain. Even when he goes back to the mountain in Autumn he is not called 山の神 Yama no Kami.
. ohagi おはぎ sweet wrapped rice cakes . 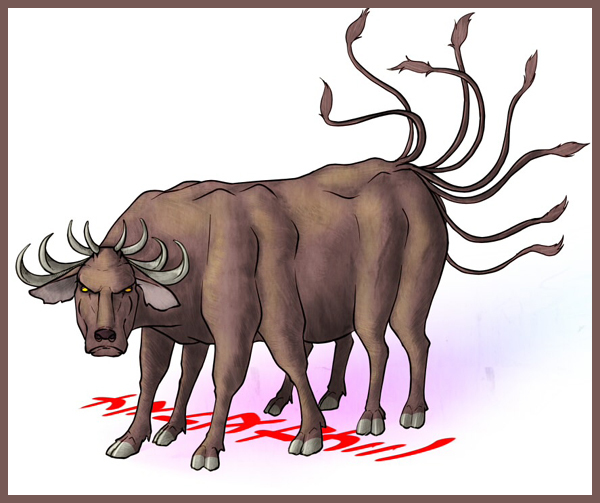 There is a kaiushi 怪牛 monster bull with eight horns and eight legs, sometimes even 16 legs (8 in front and 8 in back) called ナマントカナシ Namantokanashi. It beats the fields with its many legs and is thus a 耕作の神様 Kosaku no Kami.
. Takeminakata no Mikoto 津御名方命 as Deity of Cultivation . O-Ta no Kami お田の神 "Honorable Tanokami"
Early in the morning of the 16th day of the 3rd month, people hit the empty mortar to produce a welcoming sound for the Tanokami to come down from the mountain. They prepare 16 karako dango カラコ団子 rice dumplings as offerings in the tokonoma 床の間 alcove. In the evening soy beans are boiled and eaten. On the 16th day of November (the 10th lunar month in the old calendar) they celebrate the Day of O-Tanokami, when the Deity goes back. Again, they prepare karako dango, this time as an offering in the kamidana 神棚 family shelf of the Gods. The Deity fries these dumplings near 炉縁 the fireplace and then leaves for the mountain. On the 15th and 16th of the 10th month, Tanokami goes back to the mountains. People prepare special dumplings for him and offer them on the 米びつ container to keep rice. They hit the mortar with the pestle to make a special sound.